KCC Door automation focuses on delivering a comprehensive solution to each building’s access needs from a large scale public building to a low energy operator for light traffic. As an experienced provider of fully integrated access and automation systems, KCC supplies everything from the doors to the automation system. This is achieved by combining our 20 years’ experience and partnerships with well established manufacturers in Europe. 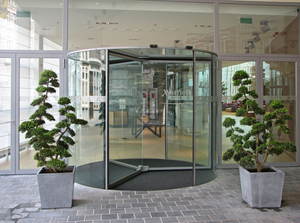 Our Automatic doors are not just aesthetically pleasing, they can help regulate climate control in an entrance area whilst also offering a functional solution for people of all ages and abilities. From conception to installation we are the single point of contact making sure that every project goes as smoothly as possible.